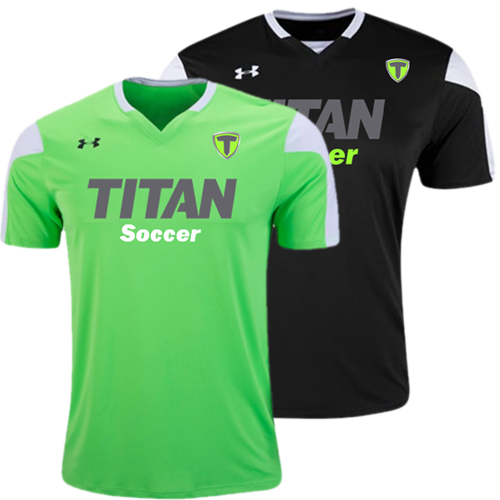 Welcome to Titan’s recreational soccer league! We’re getting ready for a new Spring season, providing more options for Tulsa recreational youth soccer! Ages: We welcome kids ages 4 to 18. U4-U10 can register as an individual or as a team. U12 and up must register as a team. Individuals will be informed what team they are on after the coach’s meeting on March 6th. Coaches with a team need to email Rachel Hummingbird for a roster list. View US Soccer eligible birth rules on which age division fits your child. When: League will start March 30, 2019 and run through May 18, 2019. Registration for team deadline is March 1st. Individuals may still register after that date to fill available openings on teams. Uniforms: Cost of uniforms is $60 and includes 2 jerseys, 2 pairs of socks and a pair of shorts. Teams will need to purchase uniforms every 2 years. Each player MUST purchase their own uniform. Parents/legal guardians are responsible for the purchase of soccer cleats, shin guards, goalie gloves (if needed) and a soccer ball. Any uniforms that were purchased in the Spring or Fall 2018 season are still good for the Spring 2019 season and there is no need to purchase another set of uniforms. Teams: U4-U10 players may sign up as an individual or they can sign up as a team. U12 and up must register as a team. To sign up as a team, have each player register under the registration links below. Teams are formed by age group division and request. Requests are not guaranteed as teams are built to be balanced. Those who signed up as an individual, you will know what team they will be assigned to after the coaches meeting. Team coaches must contact Rachel Hummingbird for a roster list. Coaches Training: Once teams are formed and coaches identified, coaches will attend a Titan certification class. Coaches will also be required to submit a background check. As a volunteer coach, experience is not required, but a general knowledge of the game is helpful. Our first coaches meeting and training for the Spring League is scheduled for Tuesday, March 5th at 6pm at the Titan Main building. Practice Fields: Titan will provide practice fields and times for each team. All practices will be held at the Titan South Complex in Jenks. For weather-related field closures, check our social media pages (Twitter, Facebook, and Instagram). To receive text message updates, please sign up at titansportscomplex.com. Games: Games will be held each Saturday during the season. If games are postponed due to weather, we may choose a weeknight to reschedule. All games will be held at the Titan South Complex in Jenks. Below are the details and basic rules of the Titan Sports soccer program. You can click here to download the complete set of rules. If you have any question, feel free to email us at soccer@titansportscomplex.com or contact us at (918) 895-8000. Visitors to the Titan Sports Complex are expected to follow all rules, procedures, and policies. Fields are restricted to the official Titan usage schedule, with the exception of pre-game warm up. NO WARM UP IN PENALTY AREA. Failure to comply with any of the Titan Soccer Complex rules and regulations may result in a fine. Good sportsmanship is highly encouraged towards/from all players, coaches, officials, parents, and fans.